Hong Kong is a foodie destination crammed with so many culinary options in a jam-packed space you're likely to suffer from extreme choice fatigue and fall crumpled on the sidewalk from starvation if you fail to plan ahead. Don’t let this be you. 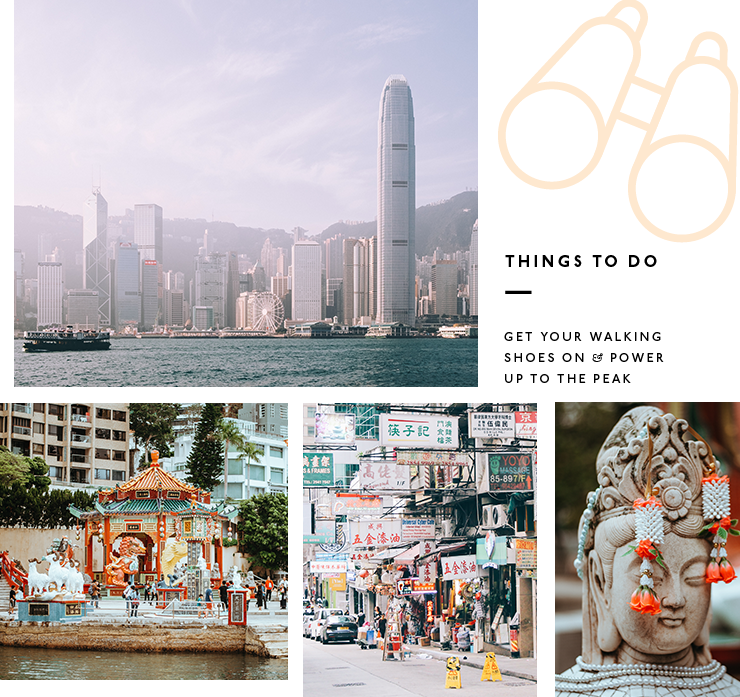 Not just a hot bed (literally—it’s huuumid) of good things to eat, Hong Kong also comes with a fascinating history, a heap of unique things to do, and a surprising amount of scenic hikes if you are so inclined. Here’s our guide to the best things to do in Hong Kong. Hong Kong is home to some quality dining (shocker), but knowing where to get your mitts on the good stuff isn’t as easy as you’d think. You may expect great fare to practically rain from the sky, but, in reality, hunting down the best chow in town requires a local’s knowledge and the bravery to bite into things when you have very little idea what’s inside (but hey, this is basically China, dammit, so man up already.). Hong Kong’s best restaurants range from the upmarket, to the very authentic (read: plastic tables, questionable meats, bulk mems). If you’re keen to go all out you have to visit Mott 32. This low-lit, very chic restaurant in central HK occupies the basement of a bank and has a suitably cool East-meets-West menu of modernized Chinese fare. Do try the Hong Kong iced tea. Yes, you read that right. A tongue-in-cheek name paired with an equally playful menu makes Ho Lee Fook one of the best new restaurants in central Hong Kong. The inventive Asian-fusion dishes on offer (the roast wagyu short ribs have a cult following) and fun atmosphere has this small space packed out night after night. Housed in the Old Bank of Chine, The China Club is a Cantonese fine dining restaurant fitted out in Shanghai Art Deco style. With both a la carte and dim sum menus, The China Club is one of the many successful ventures of Sir David Tang, with his private art collection adorning the space. Dress to impress and be sure to book ahead. Two- Michelin starred Duddell’s is well worth a visit if only to experience the cosmopolitan Hong Kong style this place exudes. 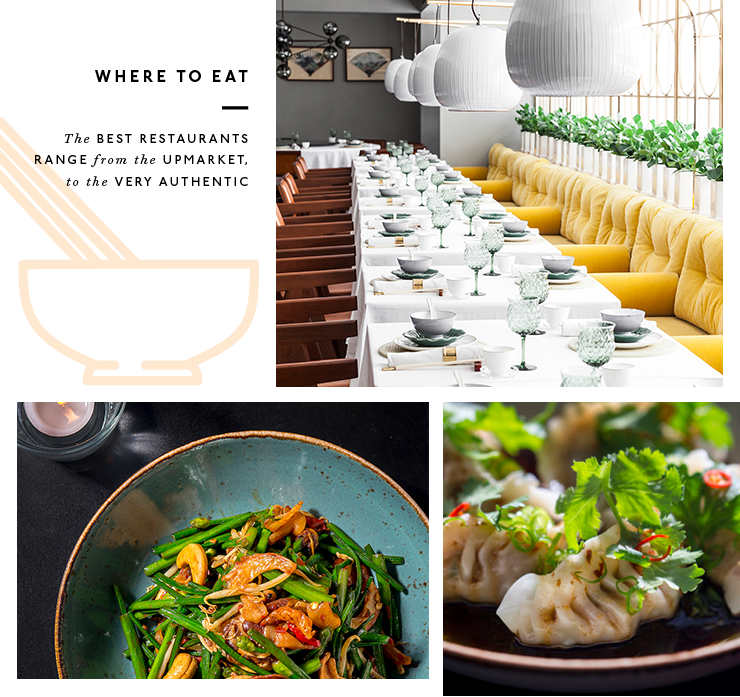 The fit out is seriously beautiful, with two levels of art-adorned walls and a garden terrace, it’s certainly not cheap, but the dim sum is excellent and the brunch is a corker. Square is an upmarket dim sum restaurant in the heart of Sheung Wan. The décor is fairly traditional and the food is reliably excellent. There aren’t any gimmicks here, just really good dim sum. Due to its bog ol’ expat scene (glug, glug), Hong Kong is stuffed with bars and has a thriving bar culture. If bending an elbow is your thing you’ll be in good company here. If sky-high cocktails in swanky surrounds are your flavour, Bar de Luxe needs to be on your hit list. Floor-to-ceiling windows provide the impressive views, while the drinks come courtesy of master mixologist Hidetsugu Ueno of legendary Tokyo bar, Bar High Five and his protégés. This place is opulent plus. If you’re after a romantic spot to enjoy a cocktail with a view, The Envoy is a rooftop bar in boutique hotel The Pottinger in Central Hong Kong. Get out onto the outdoor terrace and soak up the inner-city ambience sipping on Colonial-influenced cocktails. Often overlooked thanks to its impressive restaurant accompaniment, Ham & Sherry, Back Bar is well worth seeking out on its own merits. 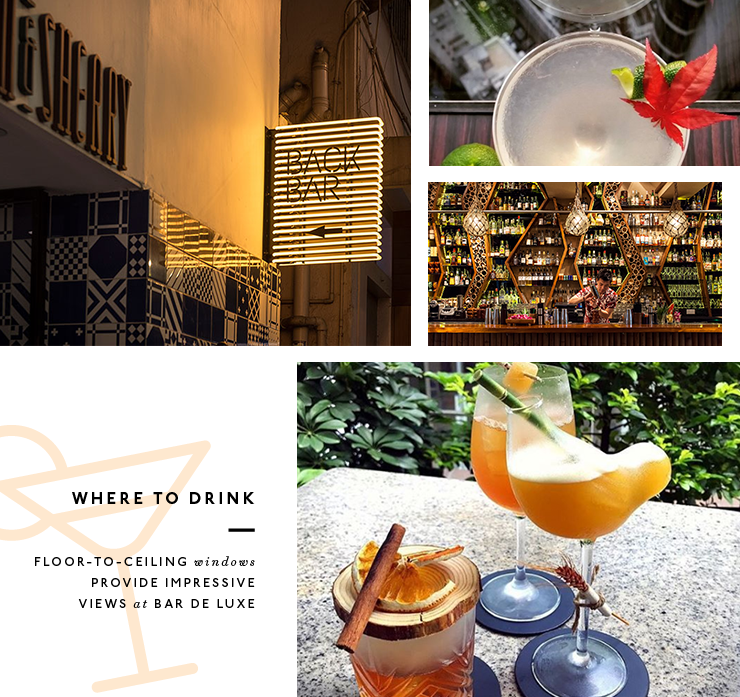 A hidden bar in bustling Wan Chai, accessed through a side door in an alleyway, Back Bar has everything you want in a cool secret bar: top notch cocktails, impressive bar snacks, and minimal tourists. While Honkers may be a shopping and dining Mecca—both activities are practically a national pastime—this bustling city is also home to incredible natural scenery, ancient temples, unique markets just dying to be explored. Look, this isn’t the most original suggestion, but chances are you’re going to, at some point, need a break from eating and drinking. When this inevitable moment arrives, get your walking shoes on and power up to The Peak (via the oh-so-charming Peak Tram) for some impressive views over the city and harbour below. It doesn’t get more HK than joining the fray at one of the many street markets. With a market catering to just about any need (goldfish, electronics, antiques, sneakers, you name it), you’re sure to find something to your taste. Popular markets include the Temple Street Night Market in Kowloon, and the Ladies’ Markets in Mong Kok. One thing Hong Kong is definitely not lacking is culture! The city’s rich history is a goldmine for anyone keen to soak up some local knowledge—plus ‘gramming opportunities to boot! From guided temple tours, to the beauty of Hong Kong’s 'secret' islands Yim Tin Tsai Island, Peng Chau and Middle Island, stepping out of the air-conditioned mall metropolis and onto the streets is well worth your time. If you’re looking for an iconic Hong Kong experience, you have to factor in a stay at The Peninsula. The oldest hotel in Hong Kong, opening shop in 1928, The Peninsula is the epitome of old-school Hong Kong grandeur. Located in Tsim Sha Tsui, the hotel occupies a primo water-side position, offering insane views back over the water to Hong Kong Island (plus, less expats). If you’re going to experience this truly once-in-a-lifetime hotel, you’d better do it right, which means high tea in the lobby, helicopter rides off the roof, dinner at the famous Felix restaurant, and transfers in The Peninsula’s fleet of world-famous green Rolls Royces. For a fresh take on Hong Kong head to Taikoo Shing’s EAST Hong Kong. With impeccably designed modern rooms and rarely seen views over the harbour and back to Hong Kong Central, this hotel is jam-packed with striking modern art and state-of-the-art facilities. (The harbour suites come compete with acid coloured dinosaurs by renowned Chinese sculptor Sui Jianguo that are practically begging to be Instagrammed). One of the highlights is EAST’s roof deck bar, Sugar, with impressive views over the harbour and a cracking cocktail menu. Looking for a holiday closer to home? Here's your Australia and NZ bucket list to get you inspired.